A few years ago when my boss informed me about my company’s decision to transfer me to Kolkata, I was very reluctant to go there. But back then, little did I know that one day the same city would become a ‘second home’ for me. I stayed in Kolkata for around one and a half years, and during that time, I fell in love with its culture, its people, its food and almost everything that it had to offer. Still, there’s one thing that I miss the most about Kolkata. It’s the beaches that I used to frequent almost every weekend. The beaches that were my only source of happiness whenever I felt homesick, sitting alone at my hotel in Kolkata, almost 1500 km from home. And today, being in a landlocked city, though I may not be lucky enough to drive to those beautiful beaches every weekend, I recommend all those traveling to, or living in Kolkata to visit these few time to get their dose of ‘Vitamin Sea.’ That said, here’s a list of the beaches near Kolkata that I would like to share with you. Take a look. Bakkhali is one of the most popular beaches in the region, and the best part about it is that despite a large number of tourists flocking it, its beauty remains intact. In fact, Bakkhali Beach is one of the cleanest beaches in the area. If your idea of an ideal holiday is exploring the area and soaking in the sights of nature, walk from Bakkhali to Frasergunj. Bakkhali is a complete destination,which has something to keep every type of traveler interested. For instance, if you love watching flora and fauna thrive in their natural habitat, you can pay a visit to the Bhagabatpur Crocodile Project, located close to Bakkhali. Take a thrilling 10 km boat ride to reach Jambudweep, a small island in the ocean. On the island, verdant forests spread over acres of land will welcome you. Take a rickshaw to the scenic Henry’s Island, located just 10 minutes away from Bakkhali. When you reach it, remember to visit the iconic Watch Tower. You can climb the watchtower to for picturesque views that sure to blow you away. 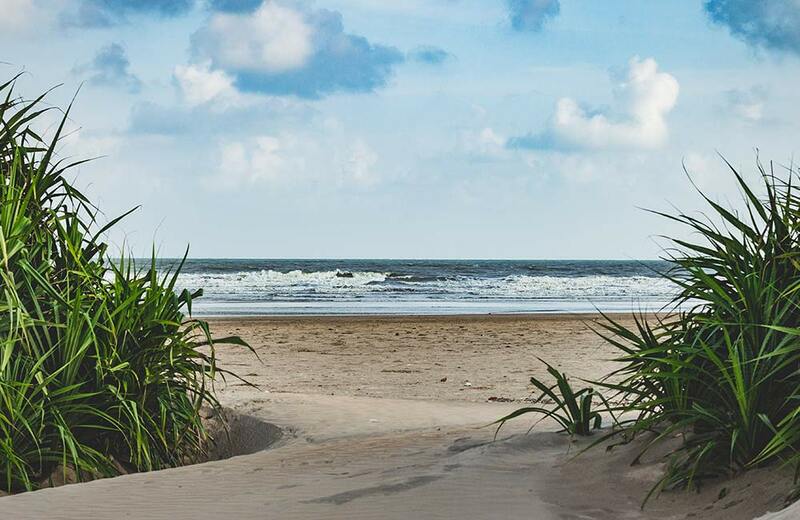 Mandarmani is home to some expansive beaches, many of which stretch for kilometers. Mandarmani village, a quaint and sleepy hamlet, has recently become abuzz with tourist activities. The increasing interest of the travel community in the beach is a good sign for local tourism-based industries. We all have walked along beaches, but have you ever experienced the thrill of driving along a beach? Mandarmani gives you the chance of doing exactly this. The fun never ends at Mandarmani, and if you love to get into the water, you can swim in the crystal-clear sea, or else you can simply sit back, relax, and sunbathe on the sands. If you hate sitting idle at one place, put your energy to good use by indulging in beach cricket or beach volleyball. And, just in case you are an adventure junkie, the good news is that the beach also has facilities for parasailing. Feel the romance in the air by taking a stroll with your partner on the shore. As you get closer to the beach, the irritating cacophony of vehicles honking will slowly begin to disappear, making way for the sweet sound of waves crashing on land. When in Mandarmani, do not forget to explore the scenic delta here. 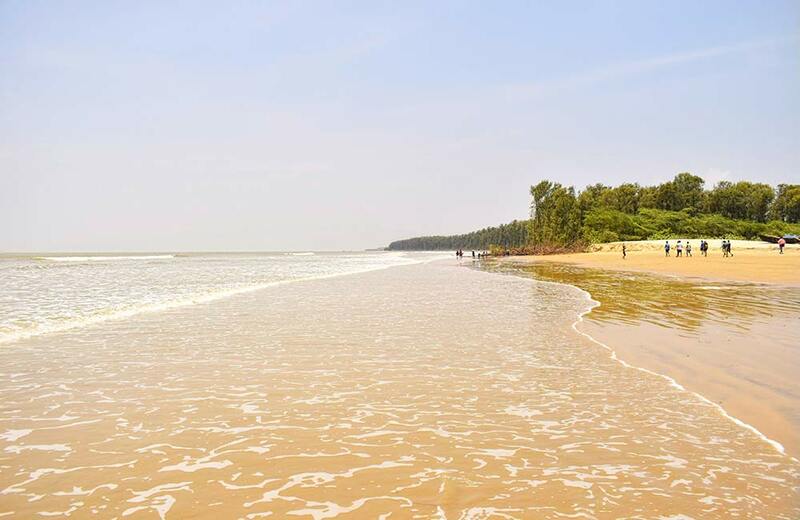 Shankarpur Beach, located close to Digha Beach, is popularly referred to as its twin beach. It is one of the many hidden gems scattered around India that may lack basic infrastructure, but can give even the most popular seashores a run for their money. The sunset at the beach is a sight to behold; it looks like the sun is proclaiming its love for the ocean by trying to kiss it. Shankarpur Beach is an ideal holiday destination for those who are longing to break free from the city crowd. It is dotted with towering casuarina and palm trees that seem desperate to touch the sky. 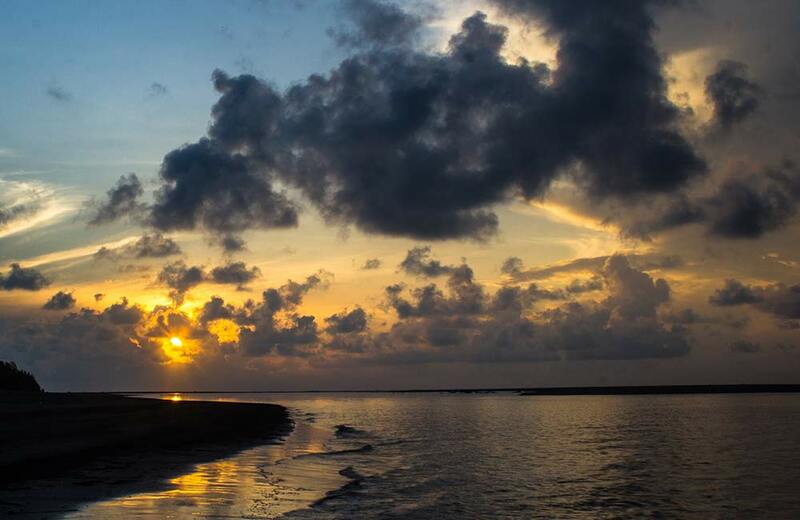 In the present time, when most scenic getaways are full of tourists, Shankarpur is far from the public gaze; hence, is one of the less frequented beaches near Kolkata. This lack of awareness is a blessing in disguise and the reason behind the still-unspoiled beauty of the beach. When at Shankarpur Beach, take a stroll and enjoy the gentle sea breeze that messes with your hair and caresses your face. This is Mother Nature’s way of showering her love on you. Fresh air, which is fast becoming a rare commodity in cities, is available here in abundance. As you sit under the palm trees, soaking in nature, memories of the time spent with friends and family will flash in front of your eyes, bringing a smile to your face. Spending a day at this scenic beach will help you rediscover yourself. So what are you waiting for? Pack your bags and head to Shankarpur before it shows up on the radar of your fellow holidaymakers. 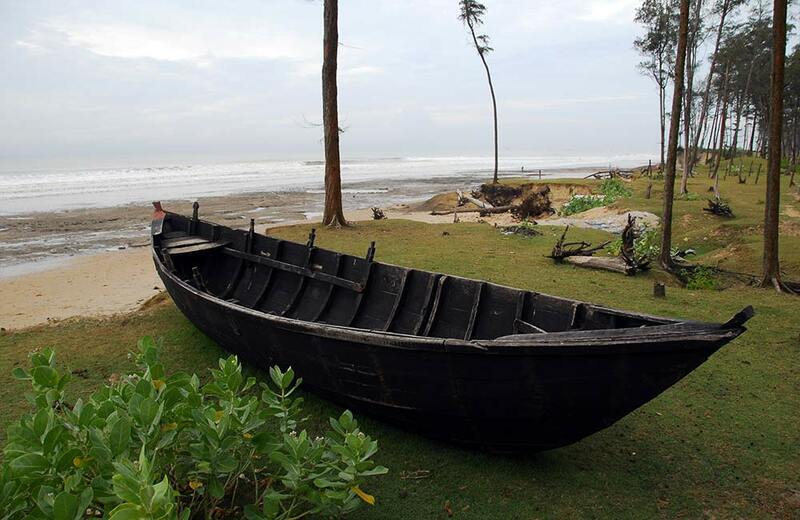 Famous for its scenic surroundings, Digha exudes a unique old-world charm. Dotted with casuarinas and palm trees that sway with strong winds, Digha is one of the favorite holiday destinations of locals. The vistas and calmness in the air provide the perfect setting to sit back and relax, and reflect on life. Spending some time here, away from your office cubicle, will do a world of good to your inner self. The beach is dotted with several shops that sell items made of seashell that you can take back as souvenirs and to decorate your home. Digha Beach is many things, but a swimmer’s paradise. The beach is not conducive for swimming due to the roughly formed boulders scattered around. If you are a water baby, this may be bad news for you. But before that feeling of dejection sinks in, let us tell you that New Digha, which is just 5 minutes away from old Digha, is safe for swimming. The road connecting the two seafronts passes through a palm forest that makes the drive enjoyable. Digha is a heaven for people who love watching aquatic animals. The Marine Aquarium and Regional Centre in Digha is home to 500 marine species of snakes, fishes, lobsters, and prawns. And since many of the species in the aquarium are on the brink of extinction, Digha, besides being a scenic getaway, plays an important role in preserving our fragile marine ecosystem. 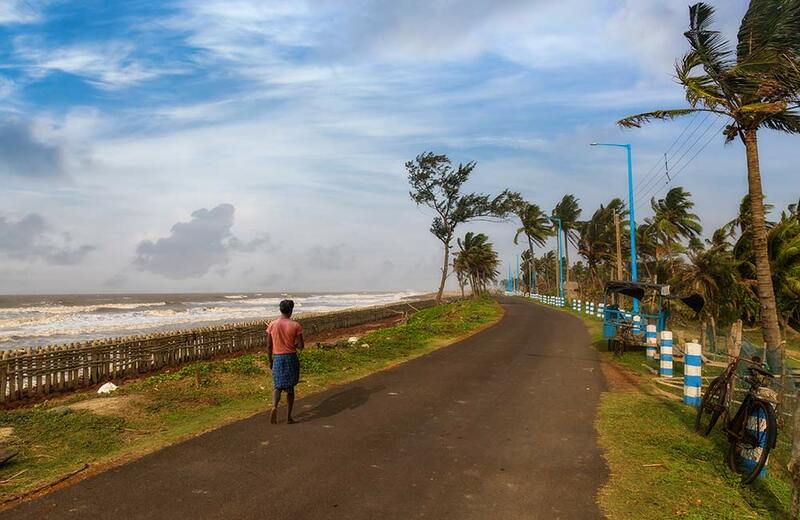 You will be welcomed by scenic hills, greenery, and acres of white sand when you visit the expansive Talsari Beach. The beach is lined with rows of palm trees that have been standing tall for centuries, adding to its beauty. Braving the harsh weather, these palm trees seem like sentinels guarding their kingdom. Talsari is made of two words, ‘Tal’ which means palm trees, and ‘Sari’ which translates to row in English. Tal also means rhythm. Nature creates vivid music at this beach…the sweet sound of waves rising up and then collapsing like a pack of cards, and the palm trees swaying with the wind, is joy to the ears. Watching the sun rise and set here is an enthralling experience. To reach the beach, you have to cross the backwaters, adding another dimension to your trip. The journey will be yet another addition to your ever-expanding list of travel exploits. Vivid colors of nature in the form of varied flora and fauna paint the beach. To get drenched in these colors and unwrap precious gifts from Mother Nature, take a leisurely stroll on the beach. If you want to reinvigorate your senses, you can play several games at the beach. But, amidst all the fun and frolic, do not forget to treat the foodie in you. When hunger pangs strike, get yummy seafood such as prawn curry and other prawn and crab delicacies from nearby food stalls. If you want to learn about local customs and practices, head to a nearby coastal village. 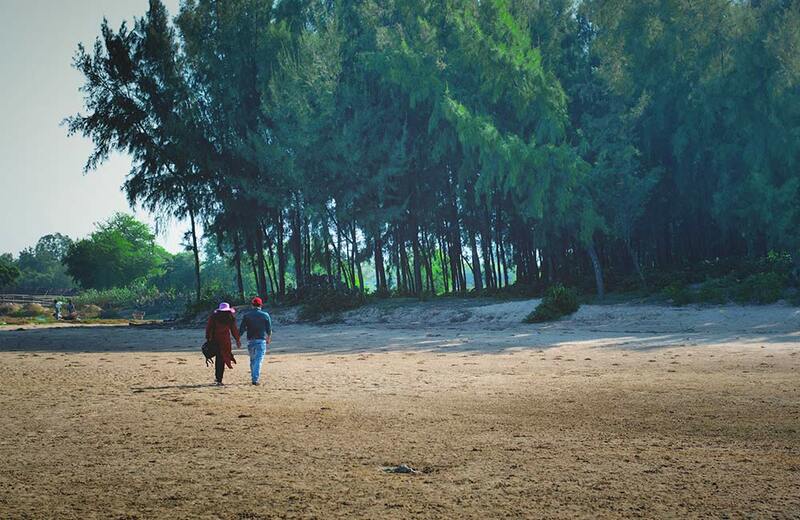 Beautiful sun-kissed beaches and casuarina trees standing in rows is the first thing that you would notice when you reach Tajpur beach. The idyllic location of the beach provides the much-needed respite to people looking to escape their corporate shackles. The sandy white shore is a perfect spot to laze around and watch the waves get into a competition to outdo each other. The calmness in the air will allow you to enjoy the music created by crickets nesting in nearby shrubs. The beach is home to cranes and migratory species that visit it during the nesting season every year. Play hide and seek with the shy red crabs that will get back into their nest as soon as you approach them. During low tides, you may take a walk and collect seashells. Or take a leisurely stroll to the lagoon at the end of the beach. Eat to your heart’s content at seaside eateries. And although these eateries may not hold a candle to the hip city restaurants in terms of infrastructure they are second to none when it comes to the quality, taste and authenticity of the food. These humble, no-frills eateries offer some of the best seafood, including pomfret fry and lobster curry, you will ever taste. Whether you are a corporate employee reeling under work pressure, or a homemaker bored of attending to the daily household chores, it is important to take a break from your routine life. And, what’s better than spending some time on a beautiful beach, sipping some tea and watching the Sun take a dip in the sea. Just in case you are not based in Kolkata and would still want to explore these beautiful beaches, you can book a hotel in the metropolis, from where you can take a cab to these scenic wonders of nature.